NRPL Group specialises in civil radar, serving air-traffic control authorities in several countries. Engineers place high importance on testing to ensure the best possible quality and – ultimately – safety. XJTAG boundary scan is an important part of their test strategy, offering powerful features, flexibility and high-quality support at a competitive price. Rigorous testing of all boards and systems is extremely important, from early design verification through prototyping and testing production units. 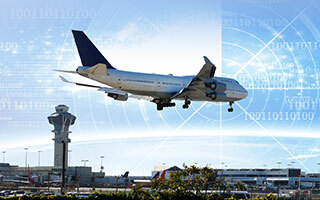 “Radar is essential to the safe, efficient operation of an airport. It is absolutely vital for us to ensure total dependability of all systems before shipping to our customers”, comments Reidar Gjerstad, Senior System Engineer at NRPL’s main Finnish site at Vantaa. His team is using boundary scan as part of the strategy for testing prototype and production radar-controller boards, and XJTAG is the chosen solution. Another key benefit of using XJTAG is that engineers can begin preparing tests for a board before the prototype hardware is built, enabling faster development. XJTAG provides support for customers seeking to exploit the system’s analogue-test capabilities, and a detailed application note is available with sample code for testing a video DAC port. This note describes the test connector and typical techniques for generating or capturing analogue voltages using XJTAG. XJTAG really helps to speed up our prototyping activities. We can start writing tests straight after the netlist is generated, which means we can be ready to test the first prototypes as soon as they arrive. Writing test scripts is easy, using the high-level XJEase language, and many scripts for standard non-JTAG devices are already available. The support provided for XJTAG is wide ranging and of high quality. Overall XJTAG gives great power and flexibility at a competitive price. A great deal of work has gone into making the features as accessible and as easy to use as possible. NRPL Group is a Finland-based specialist in radar for air-traffic control, and has group companies in Czech Republic and Russia. Its products include Primary Surveillance Radar (PSR), Monopulse Secondary Surveillance Radar (MSSR) and advanced Automatic Dependent Surveillance-Broadcast (ADS-B) solutions, as well as radar data processing and distribution systems, air traffic control and management systems, voice and data recorders. The company also supplies associated systems and sub-units such as radio equipment and signal and data processing systems.